We’ve got 3 new courses running at the JMBS Folk School in Wolfeboro, New Hampshire in January: The JMBS Axemanship Course, Winter Survival in the North Woods, and The Art & Science of Fire. Each of them is a single day. They run on Saturdays in January (see the Master Calendar). I’ll be posting more about them in the next few days, but I’ve been wanting to offer single-topic programs at the folk school for a while and am glad to finally get them on the calendar. Unlike the field school, the folk school in Wolfeboro, NH is an easy drive from Boston, Manchester and Portland. 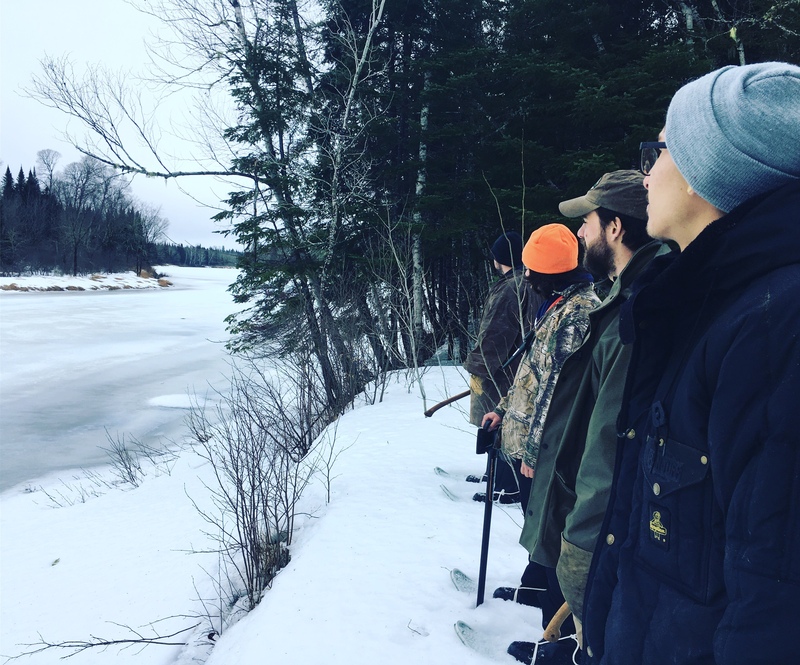 We’ve also added a new online course in order to help people prepare for the Winter Woodsman and Boreal Snowshoe Expedition: Winter Course & Expedition Prep. It’s the first course at BushcraftSchool.com, our online learning academy. When you register and pay a deposit for our winter programs, we give you access. We’ve still got a few people to add in order to get current, so if you’ve already paid a deposit and haven’t heard from us about this, you should this week. If you don’t, get in touch with me. It’s been a journey learning how to set up and implement an online course – old dog learning new tricks and all. I’m really excited about the possibilities.